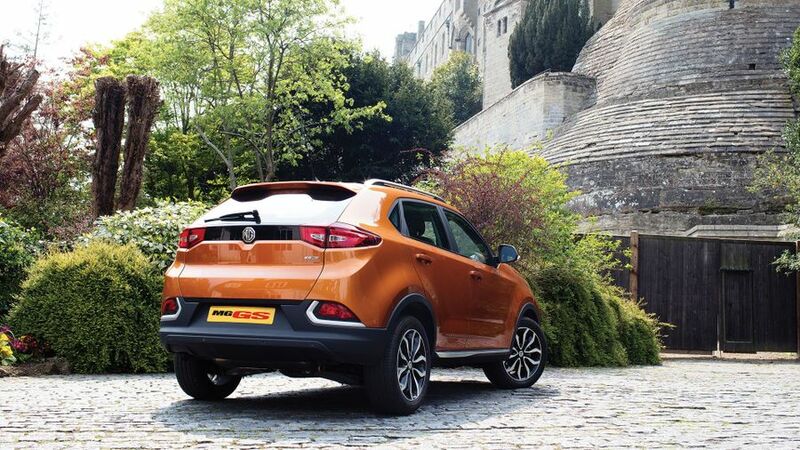 The MG GS is flawed in pretty much every area; in some cases only slightly, but in some cases, pretty fundamentally. Yes, it’s a good-looking SUV with generous space and decent equipment for an affordable price, but it’s not alone on that score. We’d point you towards one of the GS’s more rounded – if perhaps not as generously equipped – rivals instead. 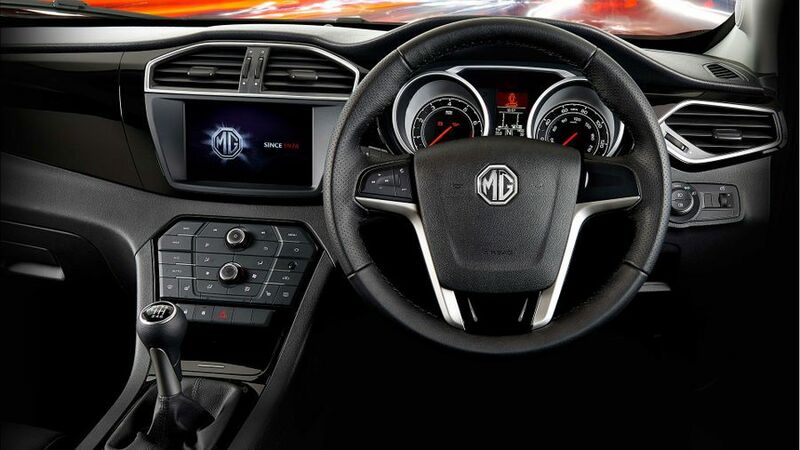 Interested in buying a MG GS? When is a 4x4 not a 4x4? When it’s an SUV, of course. 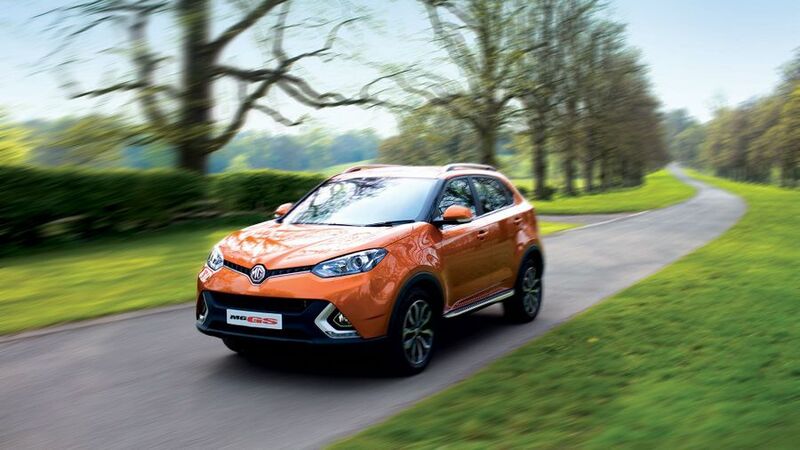 The MG GS is an SUV in its truest sense, because despite having the chunky, jacked-up looks of an off-roader, it’s not – and probably never will be – offered with four-wheel drive. This is purely an exercise in styling, but that will suit most SUV buyers just fine; the vast majority want the image of a 4x4, but don’t need the capability. All versions come with alloy wheels and smart LED daytime running lights, but the entry-level Explore trim misses out on the LED tail lights that the rest of the range gets. The Exclusive range-topper, meanwhile, gets xenon headlamps and front fog lights. Wherever you look inside the GS, you’re met with a baffling mixture of positives and negatives. The large slabs of high-gloss piano black panelling on the dashboard look and feel pretty good, but because pretty much every other surface is fashioned from plastics that are hard, shiny and unappealing, the cabin still feels very low-rent indeed. The touch-screen works quite well, and the buttons on the dashboard are big and clearly marked, but there are too many of them and there’s no visual differentiation between the ones that work the air-con and the ones that run the infotainment system. The driving position is widely adjustable and has that commanding view that SUV drivers love, but rear visibility is abysmal due to the thick rear pillars and a rear screen that’s small and steeply angled. Not a terrible performance in this area, then, but there’s certainly a lot of room for improvement. By most tangible measures of practicality, the GS does pretty well. The seats in both the front and the back have loads of headroom and legroom, and the cabin is wide enough to seat three across the rear bench. However, a middle pew that’s hard, raised and narrow will mean that whoever has to sit there won’t want to do so for long; and, because the whole bench is set very low to the floor, all your rear passengers will feel as though they're sitting with the knees in an awkwardly high position. The boot capacity figure of 483 litres suggests very generous room indeed, but the space doesn’t look anywhere near as big as that. What’s more, the opening is awkwardly narrow. Still, at least the rear seats fold down in a clever way that gives you a perfectly flat loadbay with no steps or slopes. The GS’s ride and handling balance can’t get anywhere near the standards of the best-in-class. Admittedly, the suspension isn’t too bad at absorbing big bumps and ruts, but it really struggles with small, high-frequency imperfections. And, since much of the UK road network is covered by rippled and patchy surfaces just like these, life is going to feel unsettled for a large proportion of the time. The ride doesn’t improve much on the motorway, either, and on more undulating roads, the body gets tossed around quite a bit. In fairness, the body control doesn’t feel quite so loose when you’re tackling a bend, with decent suppression of lean, and the level of grip feels pretty decent, too. The steering, however, is not so good. There’s a massive dead spot around the straight-ahead – you need to put on more than an eighth of a full turn before anything really happens – which can be very disconcerting indeed. Once you push through this, the steering actually offers some decent feedback and a meaty feel, but on the exit of the bend, the wheel’s reluctance to self-centre can catch you out. No diesel engine is offered, which is odd given the fact that they’re usually very popular in SUVs. Instead, all versions are powered by a 1.5-litre petrol engine that, despite having a turbocharger, feels exceedingly flat below 3000rpm. That means you have to flog it for all it’s worth to get any meaningful urge. Even when you do, the performance doesn’t feel anywhere near as strong as the given output figure of 164bhp suggests; and, although the engine stays reasonably smooth, it sounds quite strained when you work it to its limits. The engine’s shortage of flexibility also means you have to keep busy with the six-speed manual gearbox, which feels very notchy and tight as you shift up or down the ratios. The range-topper can be specified with a seven-speed twin-clutch gearbox, but we haven’t had the chance to try it yet. Admittedly, the entry price of the MG GS does look tempting, but it’s by no means the only option for buyers looking for a budget SUV. The Dacia Duster and Ssangyong Tivoli also make reasonably compelling arguments for themselves. And, when you spec the GS up to a level that you’d actually want to live with (second-rung Excite trim will be the minimum for most buyers), the prices become comparable with those of some very talented – but admittedly less well equipped – mainstream rivals. By the standards of petrol-powered, front-wheel drive SUVs, the figures for fuel economy and CO2 emissions don’t look too bad at 46.3mpg and 139g/km, respectively (the twin-clutch version is a little grubbier). However, the GS’s appeal could be dented by the absence of a tax-efficient diesel option. We also have doubts over how well the GS will hold its value, and a poor performance here would severely increase whole-life costs. Unfortunately, any assessment of the GS’s performance in this area is a real finger-in-the-air job. The cars – and in its current form, the brand as a whole – haven’t existed long enough for there to be any meaningful reliability data. The quality of the materials and the assembly doesn’t exactly have you brimming with confidence, but it’s entirely possible that the mechanicals will prove to be much hardier. One positive indicator that you might take heart from, though, is the generous warranty provided, which is a five-year/80,000-mile arrangement. It’s no surprise, given the budget nature of the GS, that the cutting-edge safety technology available in a lot of other mainstream cars these days is not offered. Don’t go expecting autonomous city braking or lane departure assistance, because you’ll be disappointed. You do get all the mandatory stuff like stability control and anti-lock brakes, plus a bunch of airbags (six of them to be exact). However, the entry-level model misses out on the tyre pressure monitoring system that is standard in the rest of the range. 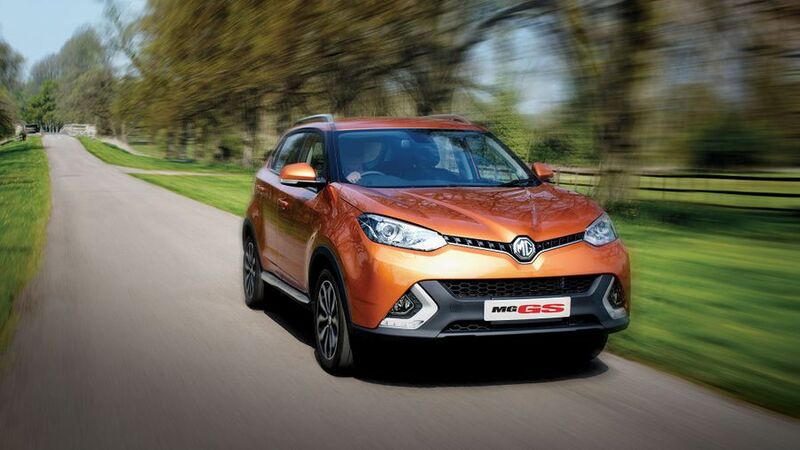 The GS is yet to be crash-tested by the experts at Euro NCAP, but if you look at the results of other MG models that have, not a single one has achieved the full five stars. The standard kit is indeed generous, but only if you avoid the entry-level Explore model. Sure, it comes with alloys, air-con and cruise control, but it misses out on basics like remote locking, a DAB radio and Bluetooth. To get these (along with climate control and a rear parking camera) you have to upgrade to Excite trim, and that hikes up the price by quite a bit. If you fancy splashing out even more cash, then the Exclusive range-topper gives you heated and powered leather seats, sat-nav and xenon lights, plus the option of adding a seven-speed twin-clutch gearbox. Because you want a stylish SUV that’s well equipped for not much cash. 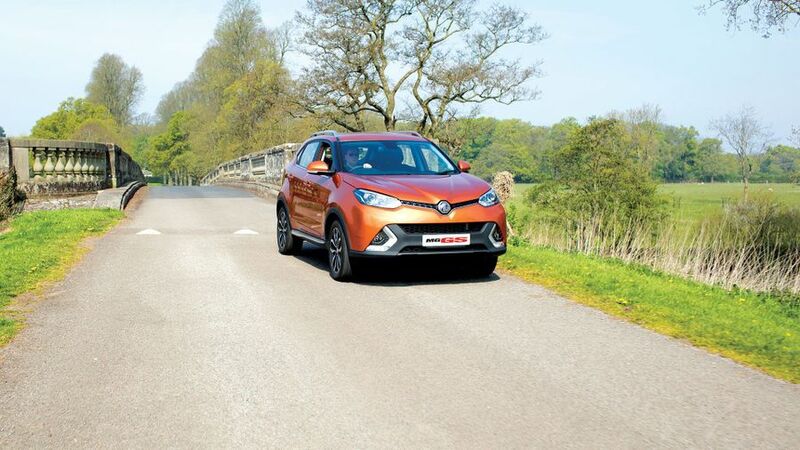 The MG GS does provide that, but so do rivals like the Dacia Duster and Ssangyong Tivoli, not to mention basic (and rather less well equipped) versions of mainstream rivals like the Kia Sportage. Our advice? There’s no shortage of alternatives, so make sure you shop around.